Multitracks and loops being used in live worship are really “in” right now. I use them at the church I lead worship for, and I have been for about 4 years now. I have learned quite a bit about them over the years, and I think it is good information to pass along. 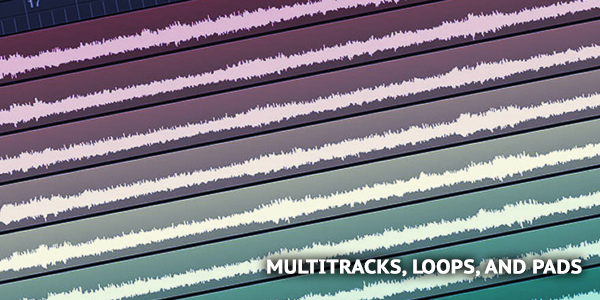 There are a few places you could go to purchase multitrack sessions, and loops. Multitracks.com, LoopCommunity.com, and WorshipTutorials.com are the groups doing it the best. They offer the highest quality, greatest diversity, and good customer service. Multitracks.com provides the actual masters of the recording from the performing artist(s), and every song is available in 6 different keys for fit your voice. They will run specials on price, but you are usually looking at $25 – $40 depending on whether or not you want to use WAV files or M4A files. LoopCommunity.com offers a similar, yet very different variety. You can get master track of some songs, but typically it will only be in 1 key. Where LoopCommunity differs is that they offer MasterTracks, and CommunityTracks. CommunityTracks are either single track loops, full multitrack recordings, or anything in between that have been recorded by members of the LoopCommunity. Their prices range from $9.99 – $29.99 depending on whether or not you purchase CommunityTracks or MasterTracks. WorshipTutorials.com offers multitracks, as well, and they sound great. Where WorshipTutorials really sets themselves apart is with their PADS. Brian, over at WorshipTutorials developed these PAD tracks in every key that can be used to fill out almost any song, prayer or transition in your worship service. They don’t necessarily follow a chord progression, but they float around the key in such a unique way that they just fit – it’s awesome. There are guitar swells in there as well for a dash of hot sauce. They really take an acoustic set to the next level. The coolest part is that you can get all 12 keys for $14.99, and they just released Minor PADS for the same price. You definitely need to check them out.